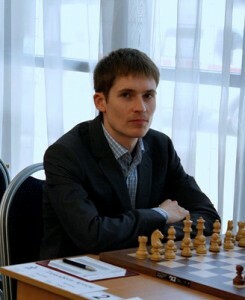 Alexander Morozevich’s return to chess, and form, has been the highlight of the Higher League of the Russian Chess Championship. After Round 9 he provided commentary on his win over Sanan Sjugirov. Meanwhile, Artyom Timofeev kept up the pressure despite his opponent’s female fan club! The oddly-named Higher League, taking place in Taganrog in Southern Russian, is actually the qualifier for the main Russian Championship later this year. Alexander Morozevich remains firmly on track to take one of the three places available, after the following win kept him half a point ahead of the field (for full details in English, see The Week in Chess). After the opening we got what seemed to me to be an approximately equal position. I’m not convinced Nd2 was wise, or in any case Nd6 gave me difficulty. I drifted with the queen to a4, but I’m not sure that was the correct idea. Perhaps I should somehow have played for squares. Here I thought that maybe it would have been better for him to play 22…g6. He was worried about 23. Bxf5 gxf5 24. Bh6 Rfe8. Then let’s say, 25. Qh4 Re6. 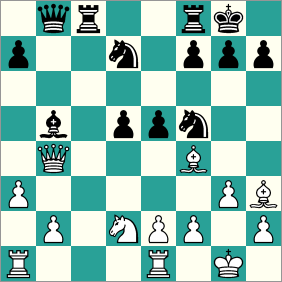 But even if I take the pawn on f5, the play on the light squares will be quite strong. I didn’t know in whose favour to evaluate that, as I couldn’t see a mate and I’ve got no presence in the centre. 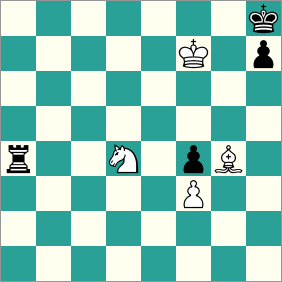 It seems to me that my opponent underestimated this idea for White and I got a position with an edge, but then played it badly. The exchange sac was probably forced. I didn’t see anything else. We ended up with a complex position where there were a lot of tricky tactics. I thought my position was slightly better, but it was still close to equality. This might be a little too clever. Perhaps I should simply have played 40. 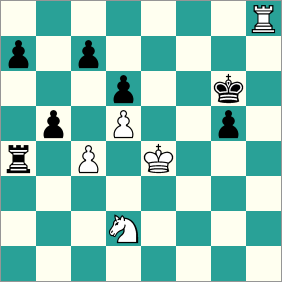 Qxc4 Kh8 41. gxf4, but I didn’t want Black to switch his knight to d6 – that seemed an ideal post. That’s why there were clever tricks like 40. gxf4. It seems my opponent didn’t really like his position. A clumsy move, in my view. I thought he could have played 42…Ne6 43. Qxc4 Re8 and then my processor wasn’t powerful enough to find anything. 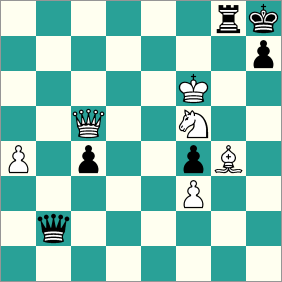 Perhaps White’s better and does have some chances, but I didn’t see anything direct. This, in my view, is already quite dangerous. Here it should already be won. The king’s journey to f7 was emotional. At first I thought I could win with the move 52. Bd7. 52…Qb2 seemed to be the only move. The queen holds the long diagonal, although without any direct threats. It seems as though I could even take on c4. I couldn’t see any punishment. 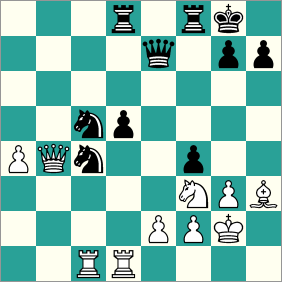 But nevertheless, I started to worry that with Bd7, Nh4 – I was scattering my pieces too much. 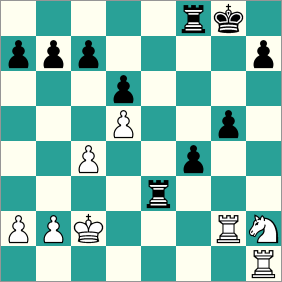 Black had set a little trap – I can’t play 55. Qd4 because of 55…Qxd4 56. Nxd4 Rxg4 57. fxg4 c3 58. a5 f3 59. Nxf3 c2. If 55…Rg6 I’d simply play 56. Kd5. 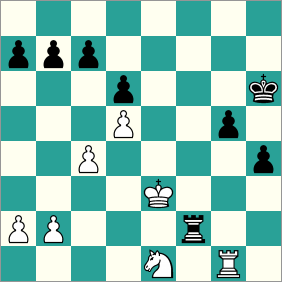 After the exchange of queens White is winning. Does it need to be said that such a spectacle created a furore in the men’s playing hall. It turns out that the girl in the centre is Ernesto’s classmate, Katya, who’s been friends with and supported the player since childhood. Her friends Liza and Nastya had also, like her, spent a whole day sewing labels onto their tops in order to support Inarkiev in his crucial game. Katya has promised to set up a fan club. Join up! It’s nice when people support you. In any case, it’s a plus, but I can’t complain about an absence of support. I’ve got enough of my own supporters: my family, girlfriend, friends. My fans against his fans, and me against him. It’s normal! After the opening I didn’t have anything special, though I’d gained something like a half-an-hour advantage on the clock. 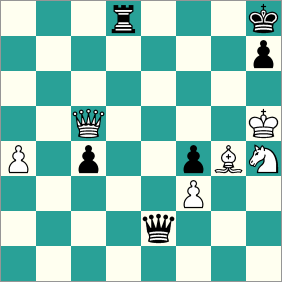 At some point I went for a solid position – an endgame with a knight against three pawns. I don’t think Black was worse, but on the other hand, if my king could get there, then I shouldn’t lose either. 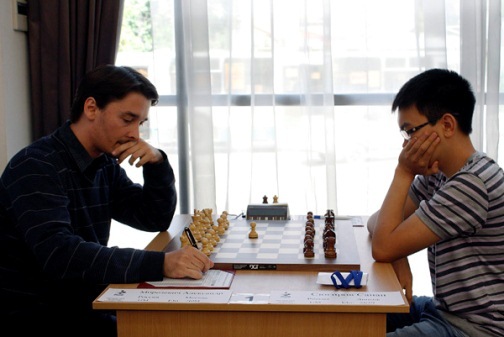 After yesterday’s defeat [against Morozevich] I decided to play more solidly. In actual fact, when this ending arose I thought that it was more Black who was playing for a win. I’ve managed to break up the pawns. Another key moment. I don’t think Black has to capture on b2. Perhaps it was worth playing 36…Rf5 37. 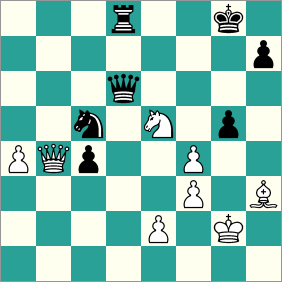 Nf3 Kh5 – I think that’s a draw, as Black holds onto the pawn, and I’ve also got no way of strengthening. After Rxb2 it should also be a draw, but I managed to take advantage of certain chances. I didn’t really like this move, as Black breaks up his own pawns. I managed to win using certain nuances. At some point, no doubt, I got lucky. After all, I only had one pawn and c6 was looming, but somehow I always managed to prevent that advance. In today’s games both Morozevich and Timofeev drew, meaning Morozevich takes a half point lead into tomorrow’s final round. You can follow that live on the Russian Chess Federation website. I KNEW that Chess was missing something, nice fan club!